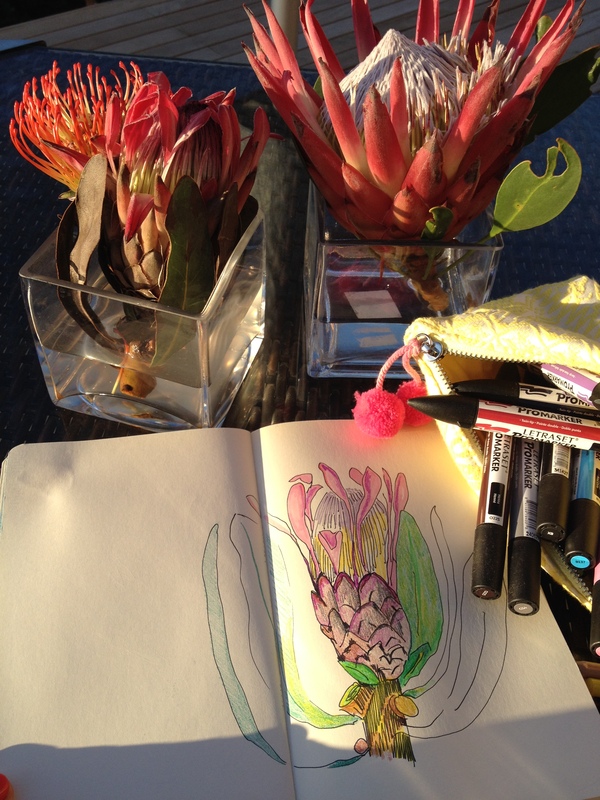 The hardest flowers in the world to draw are the protea. South Africa’s own flower and I was lucky enough to see them growing in Kirstehbosch Gardens this afternoon. Sitting in the Atlantic wind on the terrace as the sun sets over Camps Bay and drawing and sewing until supper. What heaven. The place of my birth is certainly beautiful and wild!